Article Arbitrage- How To Create Passive Income As A Freelancer Without Creating Content? Home » Make Money Online » Article Arbitrage- How To Create Passive Income As A Freelancer Without Creating Content? Content is the king. There will be always a need for fresh and unique content on the internet. I am going to show you the way that how you can buy a unique and quality content at a very cheap rate and how you can sell it on the internet at a high price. You can earn up to 5 – 10 times per article that you will sell. First, you need to get some client as a freelancer from the followings site. 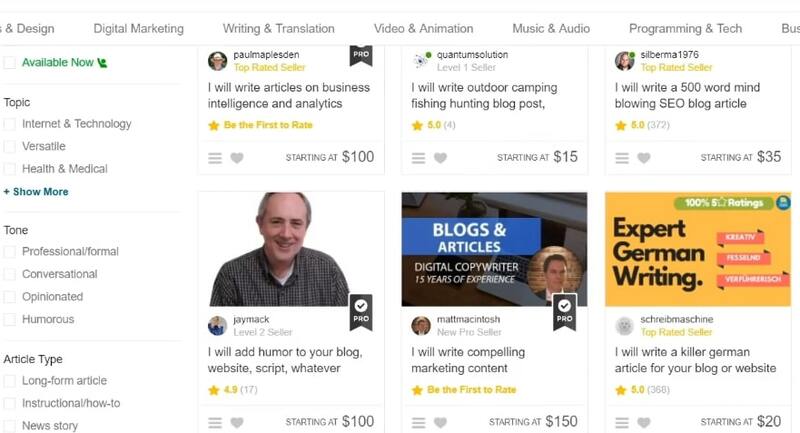 You can see how much money, you can get paid for content creation. These are all the very popular freelance sites where you can get clients easily but there are many other sites also on the internet where you can sell your content easily. You can read this Rev transcription review 2019 for making easy money as a freelancer. I also like to suggest you to stay away from the scams like Paypal money adder scam. If you like to make money in a faster way, then 10 Epic Ways To Make Money Online Without Investment. 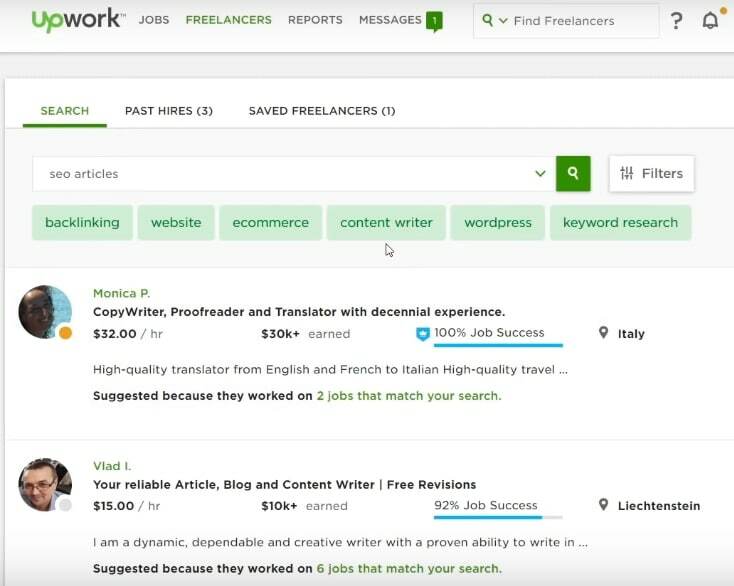 All you need to go on to these freelance sites and search what your clients are demanding. And you contact him and take an order for that article. Search in the articoolo about the topic, get the content, make some changes and complete the order. Make an arbitrage profit. See the price structure of the Articoolo and you can easily make good money. You can get this article for $1 in the Articolo and you can sell this into $10 and you easily made $9 of profit. Coming up with ideas, generating content and finding related information takes a lot of time and can be very expensive. This solution will provide you with absolutely unique textual content. No duplications or plagiarizing. Completely unique. You don’t have to worry about content rights anymore, because there is no possibility of plagiarizing. The content created by Articoolo is both accurate and articulate. It is a quick, coherent starting point for your articles. You no longer have to wait for someone on the other side of the world to write, proofread and send the content to you. With Articoolo, you can have your textual content ready within minutes. Finally, it costs less than you could possibly imagine. So let’s create content for your client in less than 30 seconds. This is also a brief review of Articoolo. Now , my client wants an article on “Shiba inu dogs” so i just search with this keyword and hit the enter. I choose the words and now my article is ready on the fractions of the seconds. What is it the articoolo? And how this works? Articoolo’s content creator works like the human brain when asked to write an article. First, it will analyze and understand the context of your topic. For instance, if you wanted it to write an article about “The appliance variety of Apple”, the algorithm will understand first that “Apple” in this context is a name of a corporation, not a fruit. After understanding the context of your topic, it will find the best base resources and extract sentiment and important keywords. The software will then find related content based on sentiment and main keywords, reconstructing everything to one coherent piece of text. Then it will rewrite the text using NLP engine for multi-level semantic identification and verify its readability. At the end of the process, which won’t take more than a minute, you will have a completely unique, coherent starting point for your article. Now, My final article is ready and I copy and paste into the notepad. Please read this guide – The Easiest Way To Write Your Next Article In 10 Minutes! Now, I will proofread and edit this article so it looks more professional. 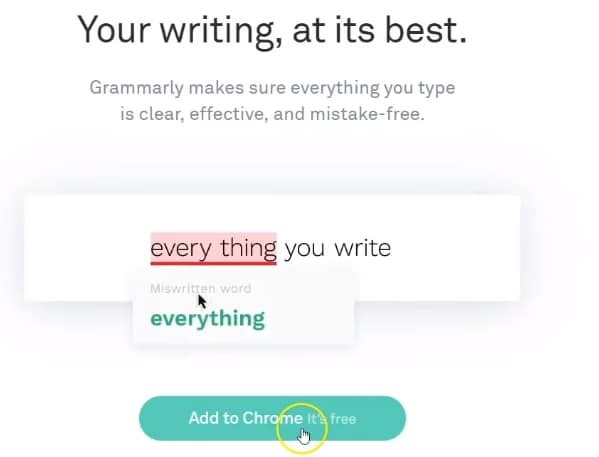 I use Grammarly for that and it’s really amazing and free. You can read my honest Grammarly 2019 review on here. You can read this amazing 10 tips to improve your writing skills. You can easily edit or remove any grammatical error using Grammarly.So your content is quality content and without any grammatical errors. You can also check the plagiarism of the content provided by Articoolo. There are many free sites that provide free service to check plagiarism of the content. 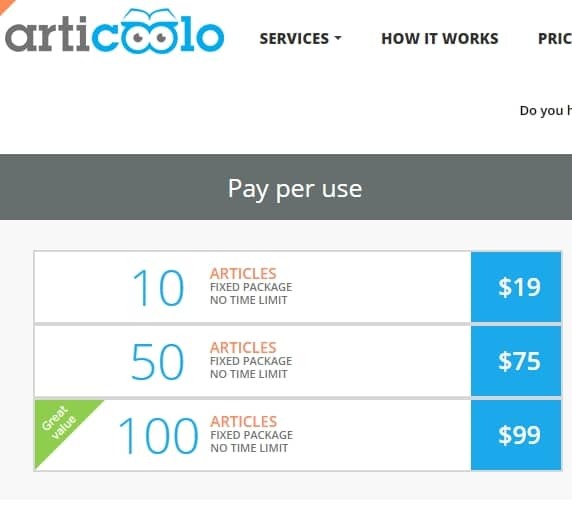 Now, how much you need to pay to articoolo? You can pay per use or even you can subscribe and pay monthly. As you can see that you can get the content at a very cheap rate from articoolo and you can sell at a high price. 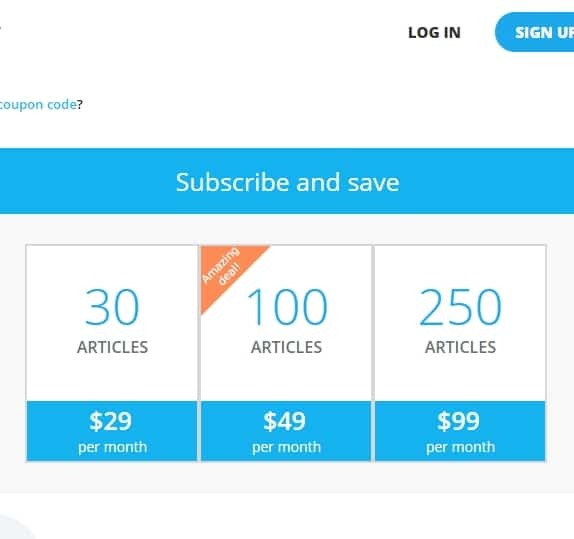 If you don’t like the generated article from articoolo you can ask for another article without paying any extra money. 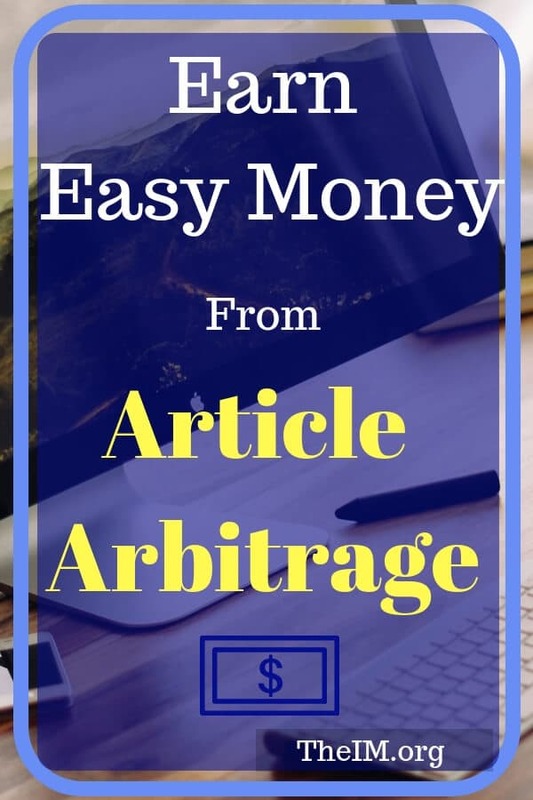 You can imagine that you can easily make up to five to ten times per article using this arbitrage system. You can use Articoolo for your own content need also. If you need content for your own blog, you can use it. If you are the SEO geek and need to create content for your private blog networks or Web2.0 properties, then this is one of the best tools to get cheap, unique and quality content.